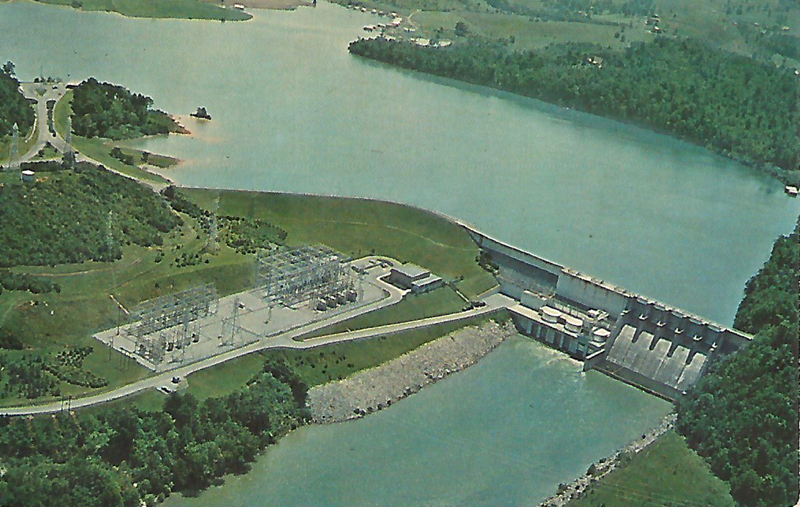 Boone Dam, when it was pristine shortly after its completion. BOONE DAM and LAKE, located in the Tri-City area of Bristol, Kingsport and Johnson City, Tenn,. is on the south fork of the Holston River in Sullivan and Washington Counties. Completed December 5, 1953 at a cost of $27,285,000.00. Boone Dam is 160 feet high and 1, 532 feet long, just one of several such T.V.A. Dams throughout Tennessee. 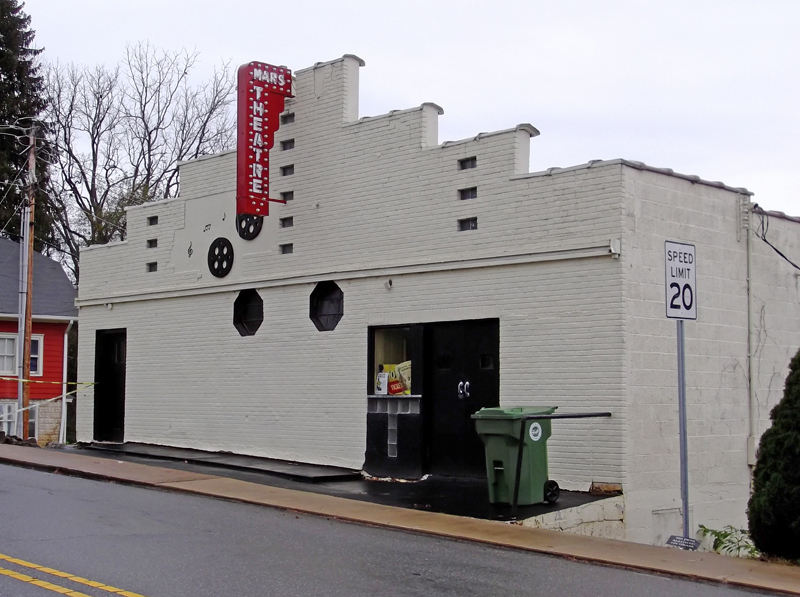 Published by Haynes Distributing Co., 2930 Fleetwood Ave., S.W., Roanoke, Va. 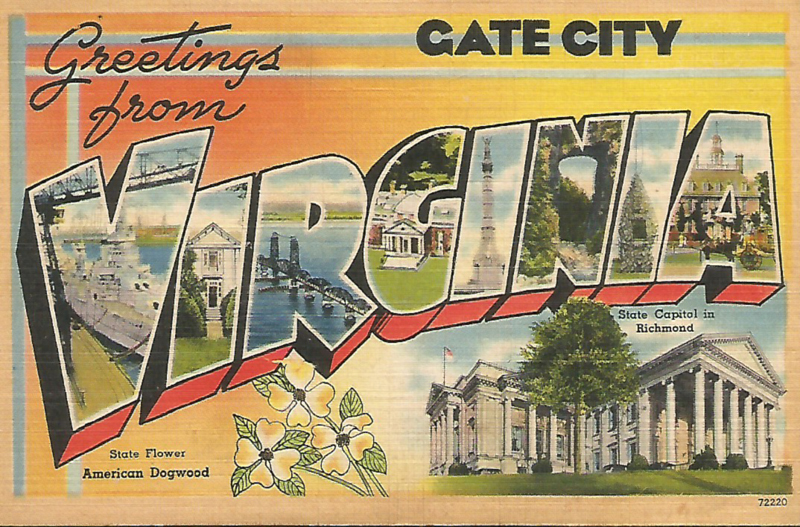 This is one of Asheville Post Card Company’s generic “Greetings from ____ Virginia” cards. The “Gate City” is obviously an overprint. Generally, “greetings from” cards are called “grts” in the trade.